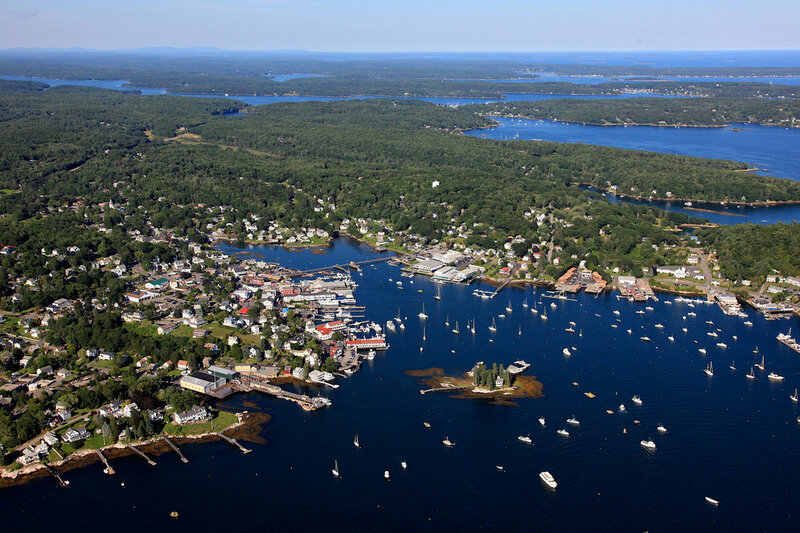 The Boothbay Harbor Oceanside Golf Resort is a beautiful coastal Maine resort that offers some of the most captivating coastal views around. 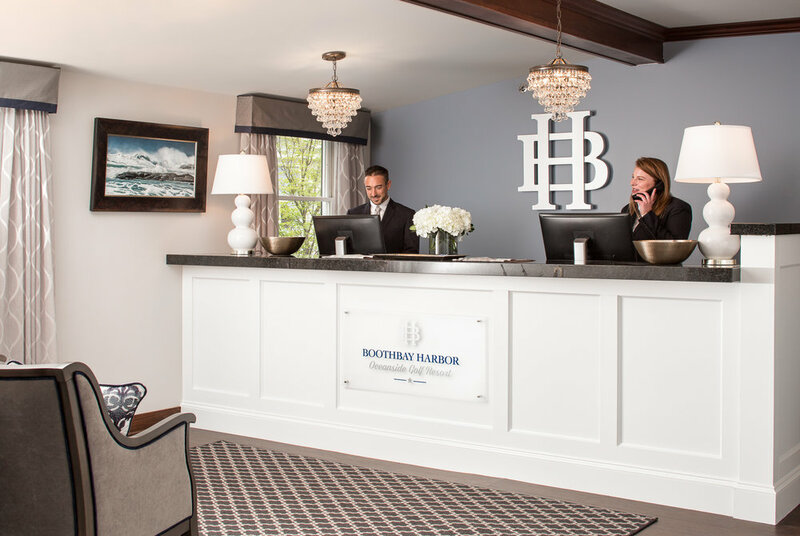 Our resort sits on the edge of picturesque Boothbay Harbor at the location of the former Rocktide Inn which is undergoing extensive renovations that are designed around optimizing the gorgeous views of the harbor and beyond from this incredible location on the water. 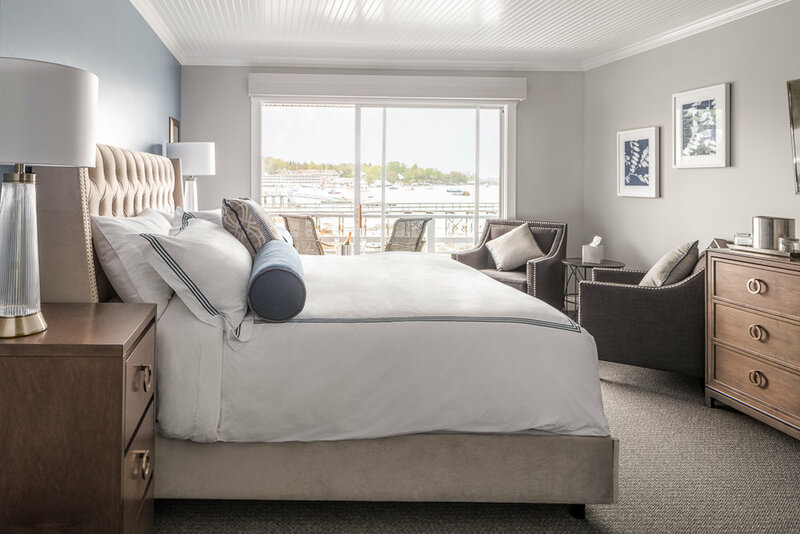 The former Inn is being completely reimagined and transformed into the Boothbay Harbor Oceanside Golf Resort. 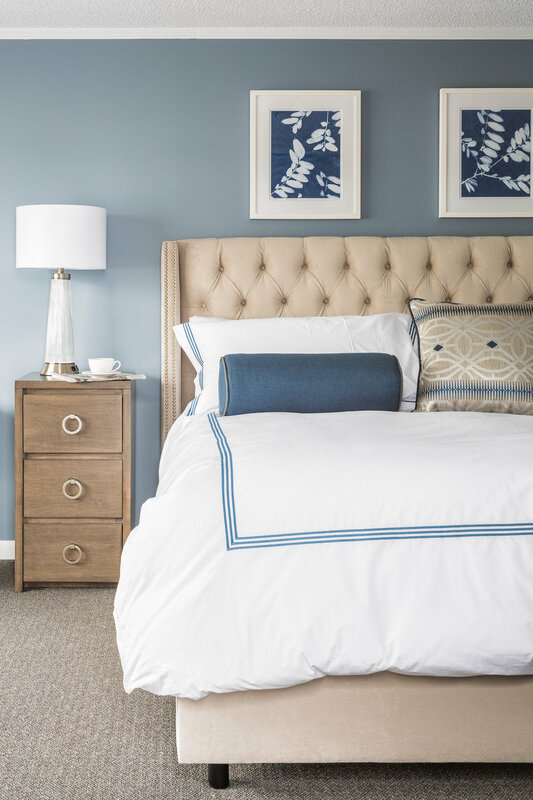 All of our guest rooms and suites are being renovated and will be refreshed with all new furnishings, including king size beds with 5-star luxury linens. Our Oceanside Resort will feature a great new restaurant, Coastal Prime. 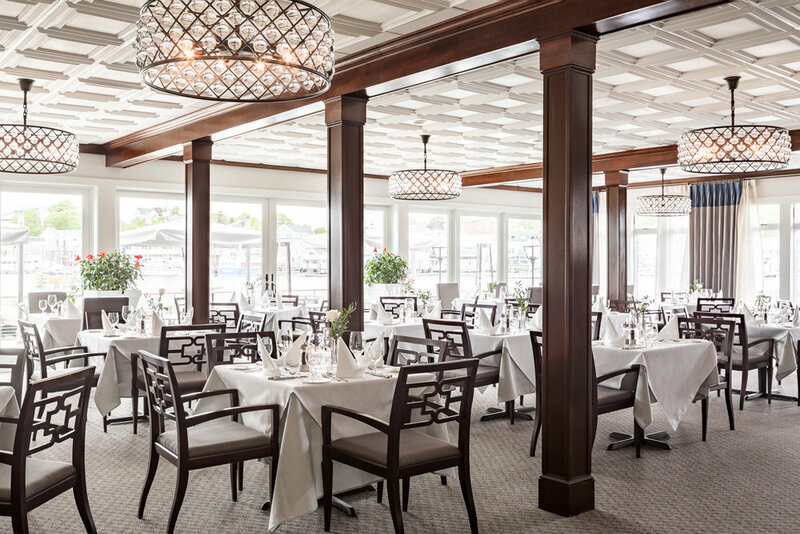 Coastal Prime will offer an inspired menu with locally sourced fresh seafood daily and seaside dining at its best. 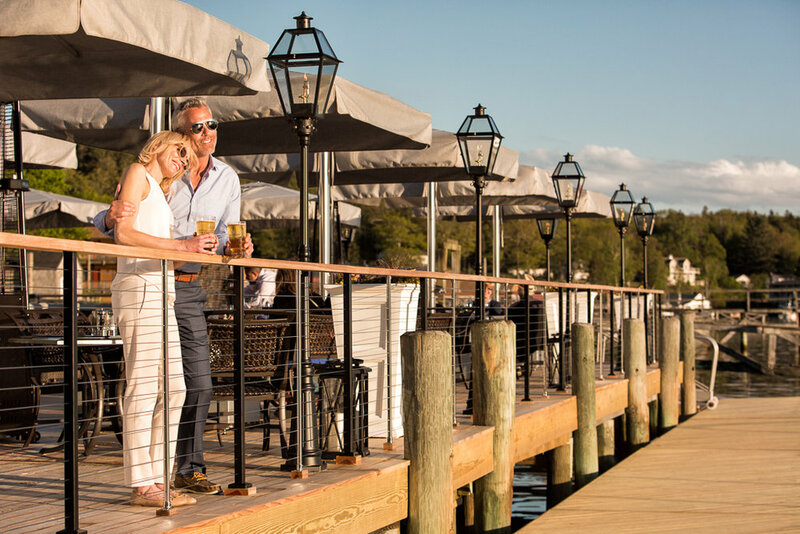 Sit inside or outside around one of the cozy fire pits and enjoy great food, craft cocktails and the best views in the harbor. The sunsets from our perfect easterly vantage point are truly spectacular! We know you’ll agree! At the Boothbay Harbor Oceanside Golf Resort, we specialize in unforgettable Maine vacations. 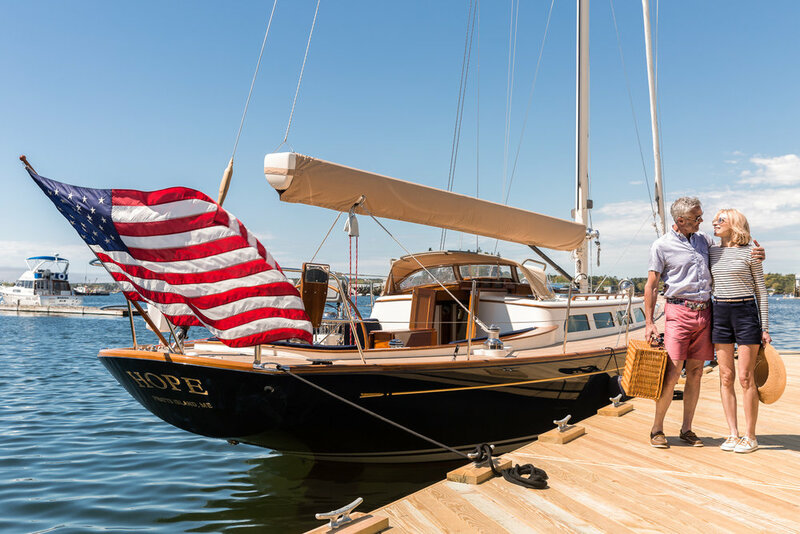 Explore the coastline on a majestic schooner. 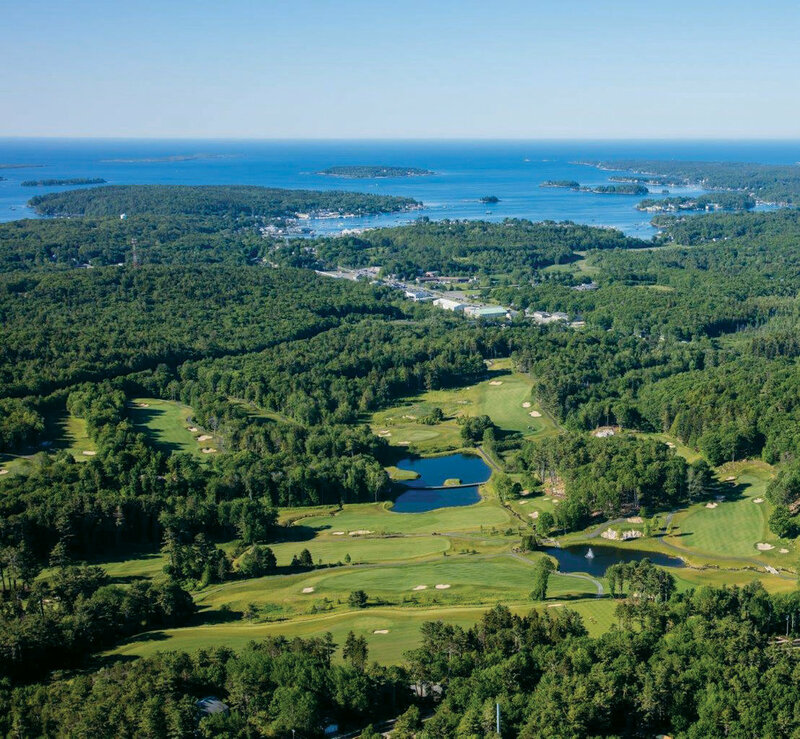 Play golf at luxurious Boothbay Harbor Country Club. Walk across the historic footbridge to local shops. 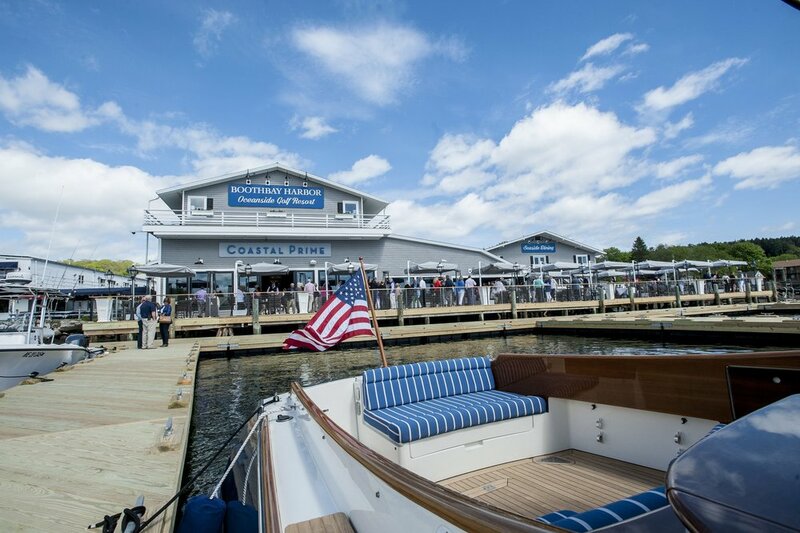 Our convenient location invites endless opportunities to enjoy our coastal Boothbay Harbor Maine resort. 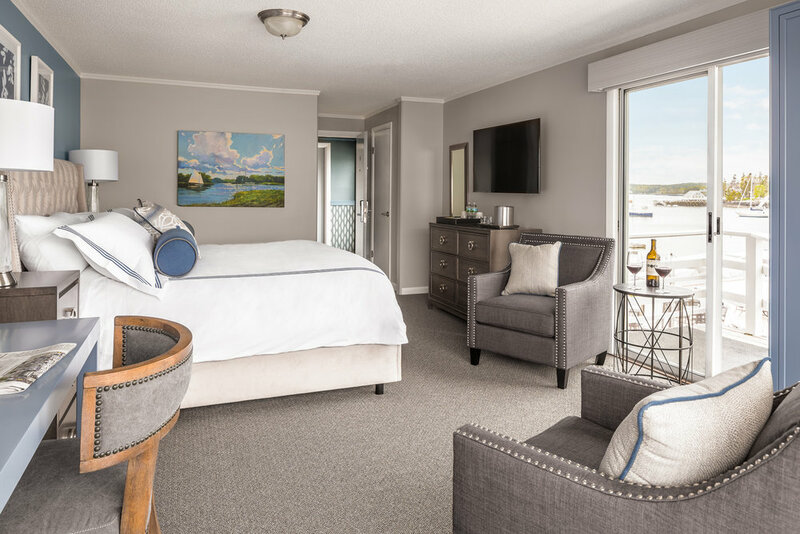 Your stay at Boothbay Harbor Oceanside Golf Resort includes 50% off green fees at the exclusive Boothbay Harbor Country Club. Follow Interstate 95 to the Maine Turnpike; proceed north to Exit 52 (Old Exit 9), to Interstate 295 North to Brunswick, Maine. At Brunswick take Exit 28 (formerly Exit 22) to Route 1, continuing north through the towns of Brunswick, Bath, and Wiscasset. Approximately one mile past Wiscasset take a right onto Route 27 south. Stay on Route 27 south approximately 11 miles to a traffic light: go straight through the light and up a hill. At the top of the hill bear right at the time and temperature sign. Take your next left onto Union Street and follow this through a blinker and around the head of the harbor at which point Union Street becomes Atlantic Avenue. The Boothbay Harbor Oceanside Golf Resort's marquee should be visible on the right.